Apple TV+ streaming service: Everything you need to know | What Hi-Fi? 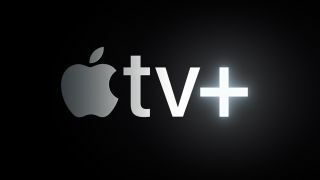 Apple has pulled back the curtain on Apple TV+, its film and TV streaming service. The service has been the subject of many rumours and leaks over the last few months and looks set to take on Netflix and Amazon Prime Video with exclusive original content. But how does Apple+ TV work, how do you access it and what exactly will it offer? And, crucially, when will it be available? Read on as we reveal all. It's Apple's new TV and film streaming service. Apple has previously created original content offerings, such as Planet of the Apps and Carpool Karaoke, for its Apple Music streaming service, but this is a dedicated films and TV shows-only endeavour. Which devices support Apple TV+? The service will only be available through the new version of the Apple TV app. The app will arrive on iPhones and iPads and Apple TV streamers in over 100 countries via a May software update. Macs will get the update in the autumn. Samsung smart TVs will receive the Apple TV app in the spring, while Sony, LG and Vizio smart TVs, Roku streamers and Amazon fire TV devices will also support the app "in the future". We'd hope this means in time for the launch later this year. Because Apple will hold the rights to every show and film on the service, it looks like you'll be able to download TV shows and movies to watch offline as well as stream on demand. All the content will be exclusive to the platform. What can you watch on Apple TV+? Apple TV+ is all about original, ad-free content. No re-runs, no licensed content, just originals created purely for the service. Rumours are that the firm has invested over $1 billion in these TV shows and films and, according to Apple CEO Tim Cook, Apple TV+ will be "the destination for the highest-quality originals". It certainly has an impressive roster of talent signed up. Steven Spielberg was on hand at the launch to announce a reboot of his 80s TV series Amazing Stories, while Reese Witherspoon, Jennifer Aniston and Steve Carrell will star in a talk show called The Morning Show. Sixth Sense director M. Night Shyamalan will helm a psychological thriller TV series, while Jason Momoa (Aquaman) and Alfre Woodard (12 Years a Slave) have teamed up for a post-apocalyptic series in which the world's population has lost their sight. Oprah Winfrey is working on "original programmes that embrace her incomparable ability to connect with audiences around the world". She's confirmed two documentaries for Apple TV+ so far - Toxic Labour (about sexual assault in the workplace) and an as-yet unnamed project about mental health. There's also a Sesame Street spinoff about coding called Helpsters, and a show called Little America highlighting immigrants' human stories. Finally, actor and singer-songwriter Sara Bareilles and Star Trek/Star Wars maestro J.J. Abrams have a production of Little Voice, about millennials in Manhattan. Despite having over 30 original productions on the go, it's doubtful Apple will be able to rival Netflix for sheer volume of content. Apple is said to be taking the approach of quality over quantity. There's no third-party content whatsoever, so you won't be able to watch Friends on it. For that, you'll need Apple TV Channels, a new service within the Apple TV app. This will land via a software update in May, and offer the likes of HBO, Showtime, Starz, CBS and even the BBC and ITV joint streaming venture, BritBox. You only pay for the channels you watch, so you won't be tied into buying any bundles. Which video and audio formats does Apple TV+ support? Given that Apple CEO Tim Cook said Apple TV+ would be "the destination for the highest quality originals", we're hoping Apple doesn't hold back. Given you can already enjoy 4K, HDR10, Dolby Vision and Dolby Atmos through the Apple TV 4K streaming box, it would be a surprise and slightly disappointing if Apple didn't package its original content in a combination of these formats. After all, Apple is now in control of the entire content creation process. Could we even see 8K content appear on a streaming service for the fist time? All will be revealed this autumn. How much does Apple TV+ cost? The burning question. Apple hasn't made any announcements on this yet. Will it be cheaper than Netflix? We hope so, especially considering that Disney+ - Disney's streaming service that will launch at the end of this year - will supposedly undercut Netflix. The good news is that Family Sharing will come as part of a standard subscription so there should be no extra costs at launch. When does Apple TV+ launch? This autumn. It's a bit of a wait, but it should give the likes of Sony, Vizio and Amazon plenty of time to roll out the Apple TV App to compatible devices ahead of the service going live. Of course, we'll be sure to give you our thoughts on the service as soon as it launches and we'll be updating this page with more information as and when it's released.